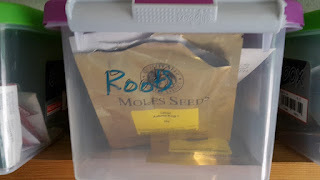 An English Homestead: Seeds Finally Organised! Firstly a quick apology for not replying to comments or writing on other blogs lately, as usual I've been really busy. I've been reading and enjoying the comments and I will reply when I get chance, please keep commenting though! 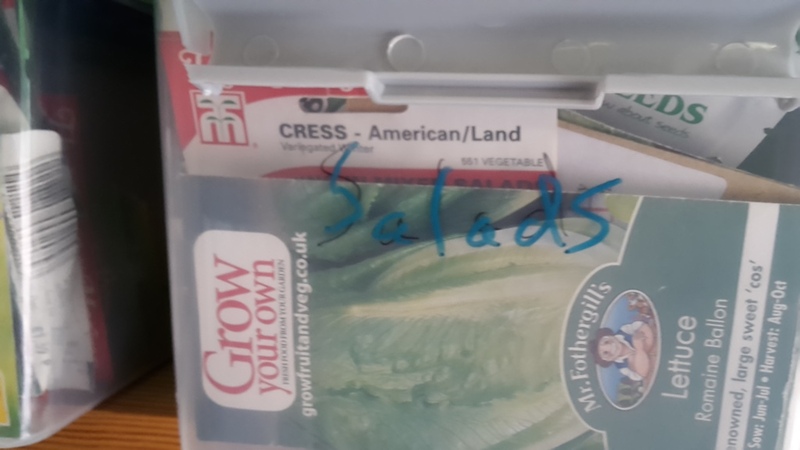 Right I think I'm finally organised with my seeds, although now I think I might have taken it a step too far and there may be an element of OCD involved with this, but it should stop the ten minute search for the right packet of seed and I know at a quick glance how many seeds I have. 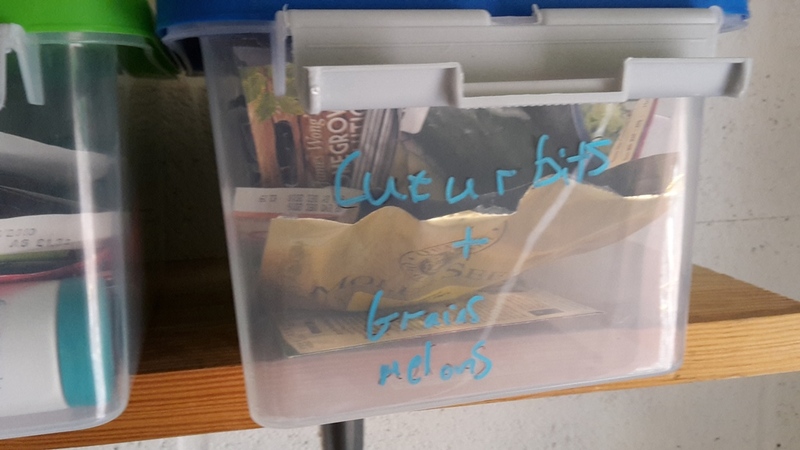 Cucurbits, grains and melon - all my squashes, cucumbers, melons and small scale grains. Brassicas - I always think that these are the easiest and hardest to grow. The seed seems to last forever but everything wants to eat the plants! 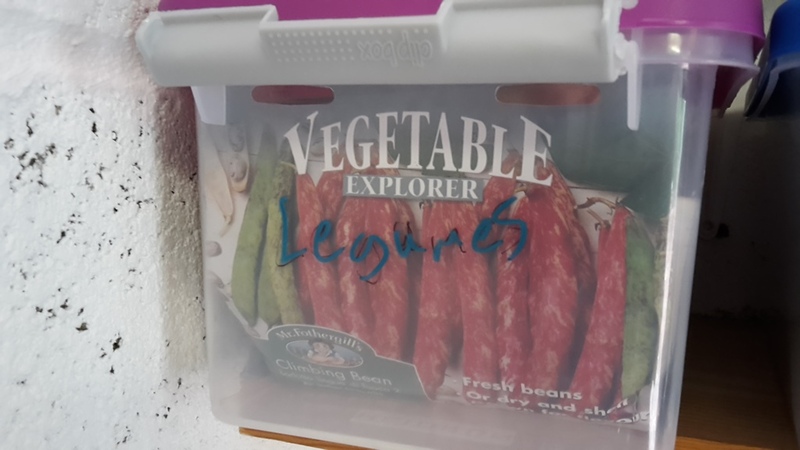 Legumes - Beans, peas and more beans! 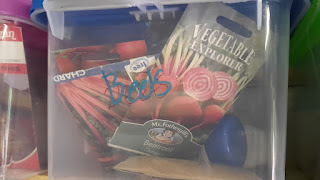 Beets - beetroot, leaf beets, chard - I love growing and eating these! 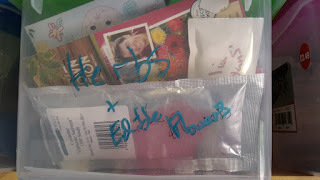 Herbs and edible flowers - I grow lots of herbs from seed. 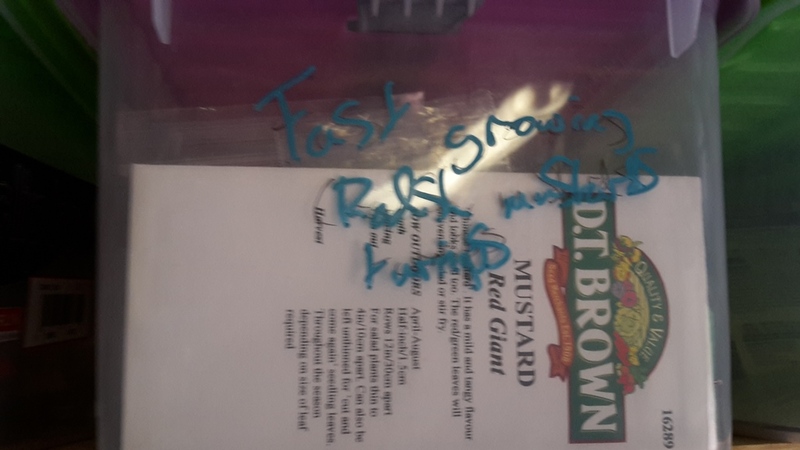 It can take a while for them to grow but it saves a lot of money if you get good plants at the end. 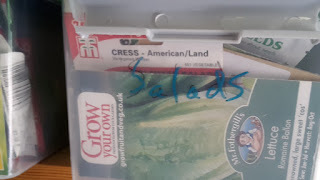 I also grow lots of annual herbs like basil and coriander. 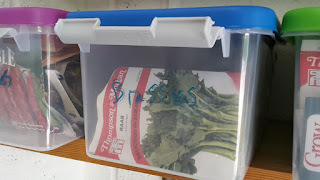 Fast growing - I've broken with by strict grouping with this box, but this contains all the fast growing things that I intend to sow on a regular basis, like radish, mustard greens, turnips, etc. 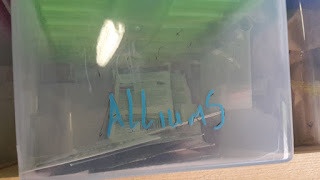 Unusual - This is for anything that doesn't fit in the other groupings. 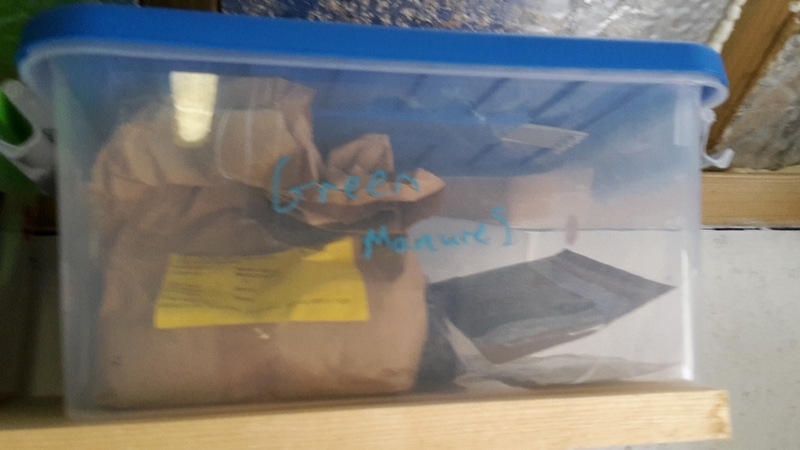 Green manures - This is a bigger box and contains big bags of green manures that I intend to be much better using this year! I also have a box number thirteen that contains flowers, but to be honest they don't get grown that much so live on a different shelf! 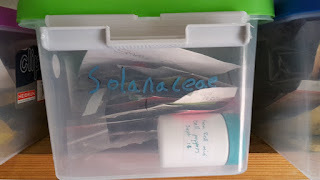 So I think I'm finally organised with my seeds, who else has a set up like this? How do you store yours? 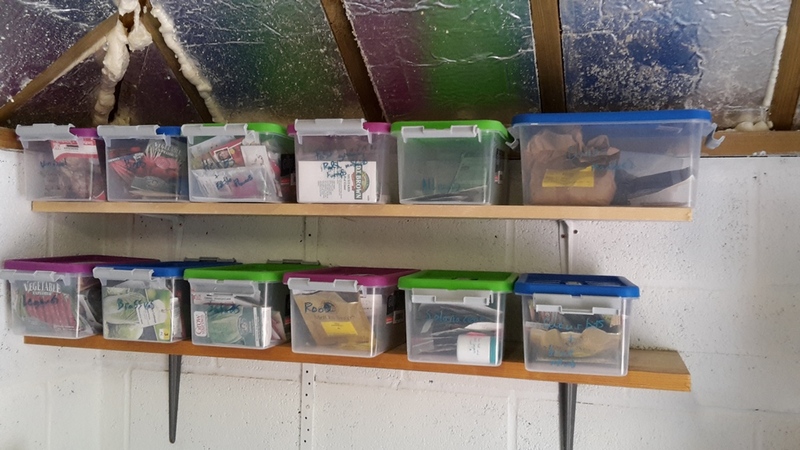 nothing like being organised and saving time, mine are still in an index box and unopened packets are in an old ammo box. Mine are in a beautiful polished wood box, years ago we had a gift of two bottles of wine in the box. I love wood so the box was kept, now it's my seed box. I love looking for seeds. My husband keeps our seeds in a large draw in his desk. They are in a jumble. It seems to work for him. He seems to enjoy the hunt for specific seed packets. My system of seed storage is very much like yours, except my containers are stored in the bottom of an outerwear clothes closet that seems the perfect temp year round. I love your description of the brassicas . . . exactly! Keep this up and you'll soon be as well stocked as that doomsday seed vault in Norway! blimey you are well organised! 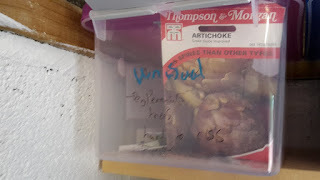 mine live in a bag all muddled together lol what's in the "unusual" box? Wow, that's a lot of seeds! All of mine are stuffed into a box a bit smaller than one of yours, and I was starting to think I had a problem..now I see more opportunity!